It's been so long since I've done one of these! 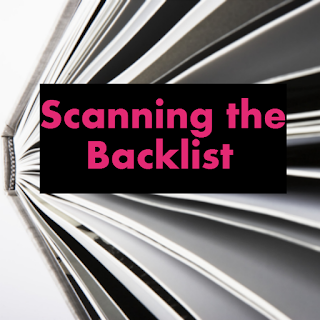 I really thought I had posted at least one this year, but it looks like the last time I updated my backlist was back in October. This is a list of backlist books I've added to my TBR list based on authors I've tried recently (or not so recently). I am 99.9% sure that it was Kelly from The Well-Read Redhead who recommended Spark: The Revolutionary New Science of Exercise and the Brain to me. It was an excellent read and really inspired me to make regular exercise a part of my schedule. I've since added Go Wild: Free Your Body and Mind from the Afflictions of Civilization to my TBR. It's a title that wouldn't normally grab my attention, but I trust Ratey's science and decided to give it a try. In Go Wild, Harvard Medical School Professor John Ratey, MD, and journalist Richard Manning reveal that although civilization has rapidly evolved, our bodies have not kept pace. This mismatch affects every area of our lives, from our general physical health to our emotional well-being. 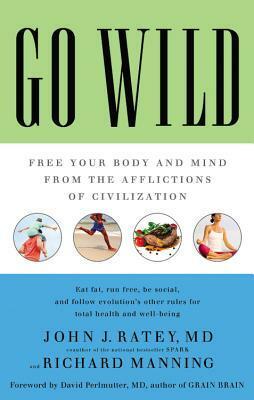 Investigating the power of living according to our genes in the areas of diet, exercise, sleep, nature, mindfulness and more, Go Wild examines how tapping into our core DNA combats modern disease and psychological afflictions, from autism and depression to diabetes and heart disease. Obviously I picked up We Are the Goldens because of the title. I just couldn't pass it up. It didn't disappoint as a YA issue novel, full of angst and woe and drama. So I was happy to review Reinhardt's backlist and discover that I already own a copy of one of her earlier books, Harmless. There was a man. He had a knife. He attacked us down by the river. 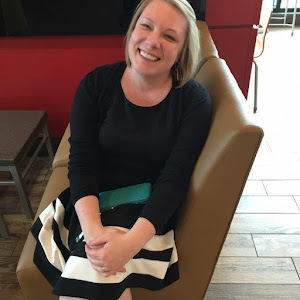 Vanderbes is another author I discovered during my early days of blogging, but who has stayed in my mind as an author to watch. I loved Strangers at the Feast, so I was excited to see that she had authored a second book that has been on my TBR list for a while. Like Dana Reinhardt's books, I somehow failed to make the connection until I started doing research for this feature. Although technically The Secret of Raven Point isn't backlist (it's her most recent title, published after Strangers at the Feast), I'm still considering it backlist since it's several years old. Juliet Dufresne is a hard-working and smart high-school girl who aspires to make a groundbreaking scientific discovery like her hero Marie Curie. Life in South Carolina with her father, stepmother, and her brother Tuck is safe and happy. But when war breaks out in Europe, Tuck volunteers and serves in Italy—until he goes missing. Juliet, already enrolled in nursing school, is overwhelmed by the loss of her brother, so she lies about her age and enlists to serve as a nurse in the army, hoping she might find him. Shipped off to Italy at the age of seventeen and thrust into the bloody chaos of a field hospital, Juliet doles out medicine, assists in operations, and is absorbed into the whirlwind of warlife. Slowly she befriends her fellow nurses, her patients, the soldiers, and the doctor who is treating the little-understood condition of battle fatigue. Always seeking news of her brother, her journey is ultimately one of self-discovery. 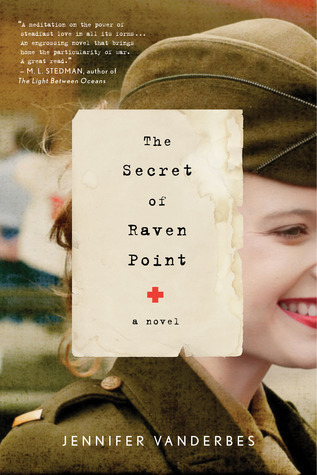 I've never heard of The Secret of Raven Point but it sounds really good. I think I'll have to add it to my TBR list as well.